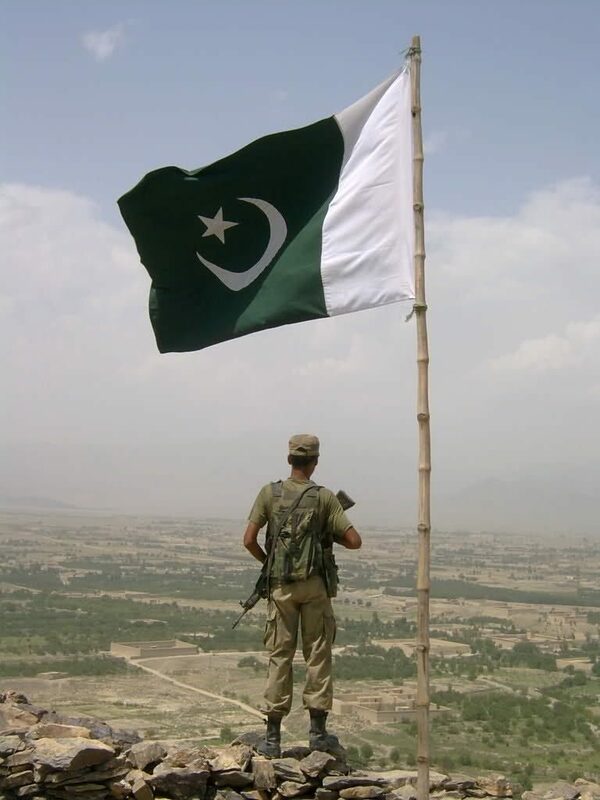 Home / Blog / Defence / The Pakistan Army… it’s friends and foe! 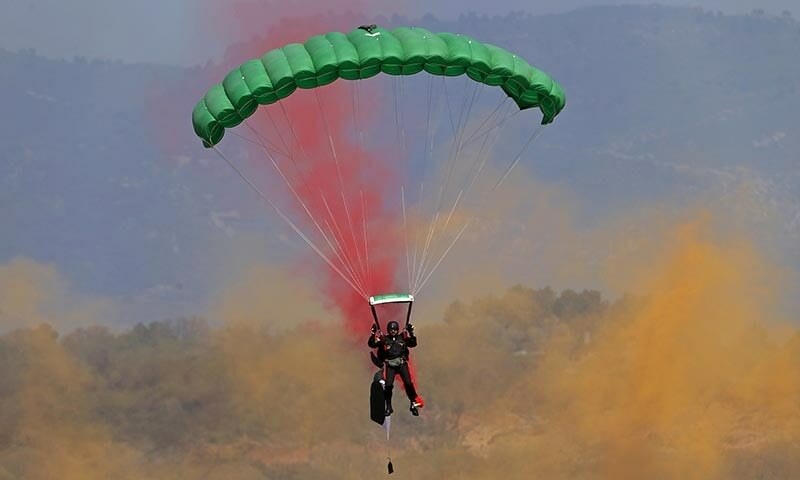 A man jumped out of an aircraft for his first para jump; confused, frightened and totally lost. When finally landed at the jumping site, a large number of his friends and well-wishers came running towards him. He thought they were happy to see him still alive but to his surprise, they were congratulating him on his first para jump, which they thought, was done with great perfection and confidence. The man, seemingly more confused and disoriented, asked them,” would you be kind enough to tell me who was that atrocious person who pushed me out of the aircraft”. Well, for me Marcom were the people who pushed me out of my “silent mode” and here I am trying to scribble something to make a start. Thank you Marcom, you have done your bit and now please pray that I am also able to make a safe landing. Now the first challenge to me was what to write about? Well, I did not waste any time on this and I started my writings with simple and short blog on my home… “The Pakistan Army, its friends and foe”. Pakistan Army is a huge organisation, with a great history, world’s best human resource and multi-dimensional role at national and international levels. The other day, I came across a report written by some US strategist who had talked about the best armies in the world and surprisingly, had put Pakistan Army on number 13. I was little confused but when saw Indian Army among first 5 or 6, I could immediately make out what must have been their criteria for the judgement and honestly, felt sorry for the gentleman. I wished, the writer had thought about the fate of their great armies in the region, without the support from Pakistan Army. If strength of the armies is to be judged on the numbers only, there would have been a different world today. After remaining a part of Pakistan Army for nearly four decades, I can confidently say that baring few of the super powers who obviously, have very high technical superiority, we always considered ourselves second to none and we have reasons to believe in that. Leaving aside its glorious past history, just a look at what Pakistan Army is successfully confronting under the prevailing scenario, by itself speaks of its inherited strengths and the role it is playing in nation building and ensuring its ideological / geographical integrity. An onslaught of international conspiracies, shifting of battle- fields from Afghanistan into Pakistan, deployments of Indian consulates all along Pak-Afghan and Pak-Iran borders to reinforcing Indian sponsored terrorism/ insurgency in FATA and Baluchistan, fragile LOC in Kashmir and our total involvement in international war against terrorism, are costing us thousands of officers and men. To judge the real strength of this great institution, one just needs to see the courage and commitment to the cause by our officers, men and their families, with which they receive the dead bodies of their near and dear one’s, almost every other day. A glance at the Pakistan Army’s role in nation building, especially in troubled areas, is mind blowing. Building of road networks, schools, hospitals and even the sports infrastructure in FATA and Baluchistan should be eye-opener to those who have any doubt on their performance. Their involvement in fighting against day-to-day crimes in the country and supporting civil administration during natural calamities is a very common sight. One can keep adding what all our army does for the country and the story will not end. Writing a whole sum blog on such an army, require expertise and research and I feel I lack both. 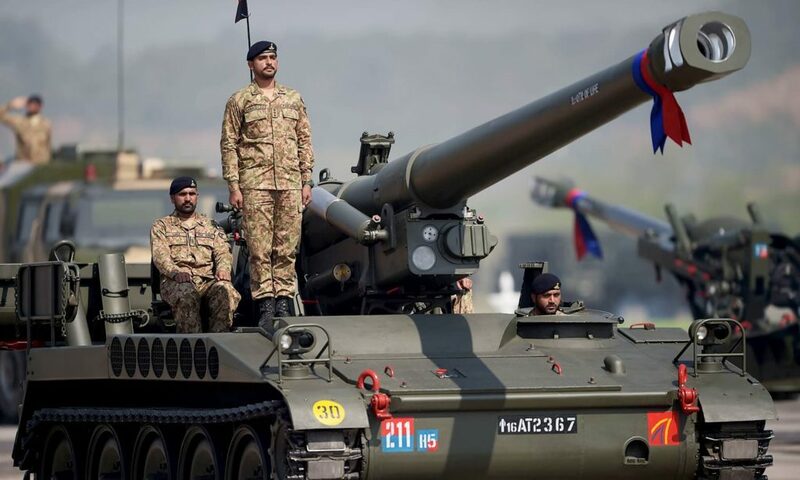 Therefore, I thought it appropriate to restrict myself to just the basics and highlight the inherited strengths that make Pakistan army, as one of the best armies of the world and will also try to identify some of its enemies, who have continuously been working to weaken it, in one way or the other. Pakistan Army is a highly disciplined force, with inbuilt motivation and strength of character that makes it a difficult customer for its enemies. Whereas, weapons/equipment can be counter by a better quality of weapons/equipment but nothing can match the inherited strengths on which the whole infrastructure of our army has established, over the years. Pakistan army is not an institution where soldiers are hired for fighting and other administrative jobs. The brave soldiers of Pakistan army are like a well-knit family with inherited ownership for their country, mutual respect and in-built trust. Seniors are taken as elders while juniors provide the follow-up, thereby, establishing a correct social structure within the institution to create a life style of its own. Youngsters find time out of their ‘mess’ life and visit married officers to join them for dinners (mostly un-invited), even join them in cooking and some even supplement food by bringing selected items from their messes, as a token of ownership. Officers joining soldiers for food in their messes and tents, when out for operational duties and playing cards, singing and dancing with them, is a very common site in the army units. It may be interesting for many to know that the young officers when initially join their units, are made to live with soldiers in their rooms/tents for first few weeks/months, to enable the new comers blend into the team. The whole scenario makes such an outfit that fights the enemy as one bullet, when it comes to war. Only a soldier can explain how he feels to follow his commander in operations against spray of bullets hovering from the front. It really requires courage, motivation and trust in the command. When all these qualities combine with our religious beliefs, no opponent, how strong he may be, can stand in the way. I will briefly quote an incident when I as a commanding officer was leading the regiment in an Army exercise conducted at national level, one of our tanks stopped due to some technical fault. I immediately decided to leave that tank behind with its commander, a havildar, just to be retrieved soon after the operation was completed. The next moment I had the Havildar standing in front of me with tears in his eyes and blocking my way, “How can you leave me behind? I will not let you go ahead without me and would prefer death rather than becoming a left over”, were his words. I embraced him, got his tank rectified and took him along. This is the level of spirit that Pakistani soldiers possess. Another example showing the strength of our bond might be of interest to some. A retired havildar calling me in Dubai, from his village in southern Punjab, after 15 years of my retirement and asking me to help him to settle a minor issue with some policemen who were unnecessarily teasing him and his friends, to extract some money. I immediately obliged him and they were let-off. I felt happy and honoured that I, being his old commanding officer, still enjoyed the trust of this man, even after 20/25 years gap. Welfare of troops and their families is a subject that the officers in the army are taught since day one. Every officer is supposed to keep himself abreast with the family environments of his under command and ensure that all possible efforts are made to keep the soldiers satisfied from their home issues. Fauji Foundation is an organisation, which plays a tremendous role in ensuring welfare of retired army personnel and their families. Best possible medical and educational facilities have been created throughout the country and are available to them, free of cost. Army housing schemes which are generally used as a point of criticism by anti- army elements, are so well organised that even the critics prefer to reside in Defence Housing Schemes and their children studying in Army Public Schools. For those who have doubts how army affords these residential areas, our officers’ start paying installments for these houses from day one and the balance is deducted from their gratuity on retirement. Effective management makes army ventures strong and attractive. I wish all those who raise fingers at the army on these scores, could just verify the details before making allegations. Pakistan Army sets a very high standard of merit-based inductions/promotions, which are never compromised. Soldiers’ sons have made up to the rank of a General while many of Generals’ sons got rejected for induction in the army, purely on merit/de-merits. One of my class-fellow from cadet college Hasan Abdal, who was son of a General, failed to make it to PMA while many of us with middle class background managed selection in the army and rose to the level, according to our potential. We in the army, take the profession more as a service to the nation, rather than purely as a job. Training at the time of induction, is focused at grilling a spirit of nationalism and sacrificing life for the motherland becomes a motto. Practical examples of thousands of ‘Shaheeds’ and reaction of their colleagues and their families on their martyrdom are the clear expression of what I am trying to say. Standards of the training are so high that our officers stand out clearly on merit and are praised, internationally. I had a number of opportunities to meet senior officers from UK, US and other advanced countries who all spoke very high of our professional standards and national pride. Quoting an incident from my PMA’s time, at this stage, will be quite relevant. During an exercise, “Battle Inoculation” where all of us are supposed to assault towards an objective under live firing, one of our colleague got a bullet through his body and died on the spot. The whole class was made to stand in a parade for dua and within minutes, the body was taken away in an ambulance and firing resumed as per the plan. This is the kind of training Pakistani army provides to its officers and men. Inculcating team spirit is another important ingredient of our training in PMA and regimental centres. It reminds me of an incident during our training in PMA when whole of our class went through punishment of crawling on snow with bare elbows, for two hours, just for not disclosing name of one of our colleague who had made some funny noise in the class. The snow in the ground turned red with blood flowing from our elbows but to save one member of the team, nobody would speak out his name until the instructor himself had to call off the punishment. Interestingly, our instructor knew the culprit but wanted us to develop a sense of comradeship among our team. During the punishment, even our colleague himself wanted to accept the mistake and take punishment but others did not allow him to do that. Pakistan army provides strength and stability to other important national institutions, whenever, asked for. May it be to support law enforcement agencies, hold mega events or carry out any other task requiring extra-ordinary management/groundwork; their performance has always been praiseworthy. Pakistan Army enjoys a very respectable status amongst the armies’ world over. Leaving aside international geo-politics, our army always has very warm interactions with its counter-parts all over the world as part of the military diplomacy. Our effective participation in UN peace missions, all over the world, has always, been recognised at international forums. Because of these inherited strengths, mentioned above, Pakistan army has undoubtedly become the centre of gravity for the country. Resultantly, it has become a priority target for our adversaries and unfortunately, some political/ nationalist elements, with a foreign sponsored agenda and corrupt mafia who believe in self-interests rather than the national interests, have become their facilitators. Military take-overs in the past have also been a point that the army’s critics generally exploit to discredit the institution. Without going into the background details of these takeovers or army’s justification in taking such a set, It would be suffice to say that even under these military governments, Pakistan has always done far better as compared to the political governments. However, by saying that, I by no means, suggest such steps in the future and wish that our political system gets matured soon; to give it an internal stability to take-on the challenges that Pakistan faces today and lead the nation forward on the road to prosperity. A minority among our bureaucracy also possess negativity against army, basically, for two reasons. While some of them are politically motivated, the others feel left-behind when they find army people living a better life as compare to theirs, purely due to mismanagement in their own departments. There is also a small group amongst the better-educated people, who for some reasons, fails to join army or any other respectable profession. They feel frustrated when they see people with similar or lesser degree of education, in better positions in the army and thereby, indulge in bad mouthing. These minor issues create an unwarranted divide of “army and civilians”. Mutual understanding and frequent interactions between each other, can bridge the gap. Last but not the least is a deliberately created wedge between so called, fundamentalist groups and the army. Our enemies have planned it meticulously and needs to be countered very carefully. However, it is satisfying to note that actual religious groups seem to be aware of this conspiracy and are on board in most of the cases. There are only few splinter groups, which are actually not religious in practical sense, are used as a tool by their handlers, to gain their own ulterior motives. By the grace of God, Pakistan Army enjoys a very strong footing and will continue to remain the saviour of the country, InshaAllah. Very well written . So proud of you!